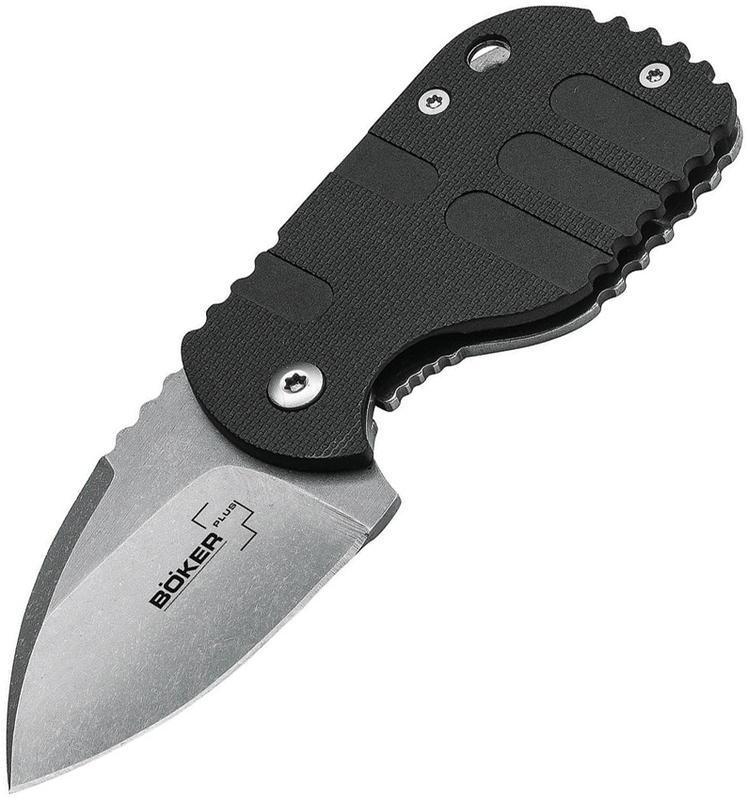 The Subcom and the Boker Plus share a close historic connection, since the Subcon Folder by Chad Los Banos was the first model ever to be made for the Boker Plus brand. With the Subcom Friction, we are transposing the successful Los Banos concept into a compact Friction Folder with a blade that can be opened and kept open by means of an elongated pin. An easy-lock Detent Ball offers noticeable resistant in the open, closed and 90° position of the blade without locking it. 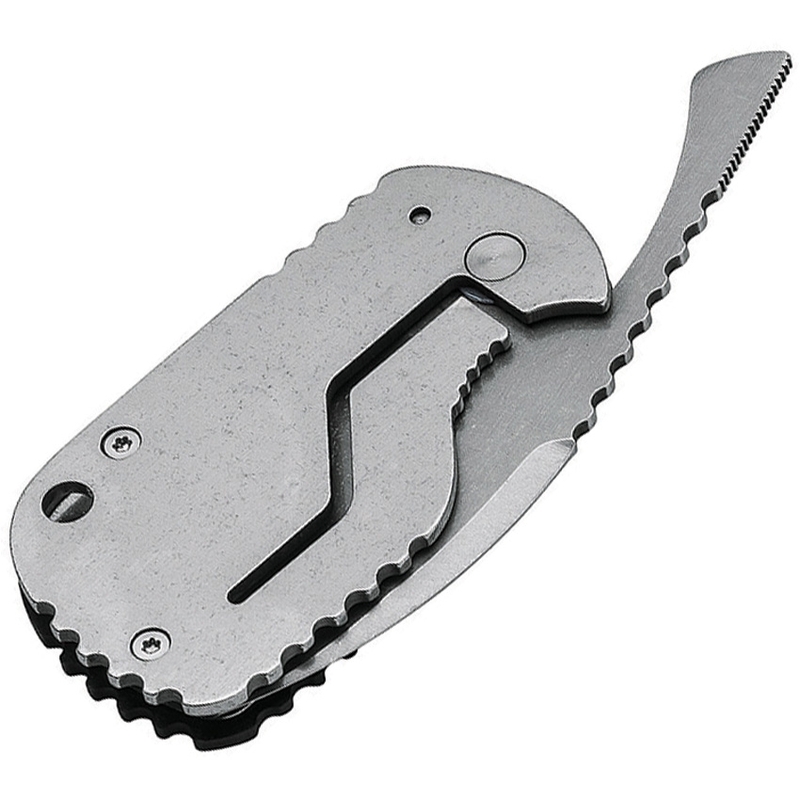 The stainless steel handle with G10 scales doesn't have a clip, since a Friction Folder with a clip shouldn't be carried in a pocket. 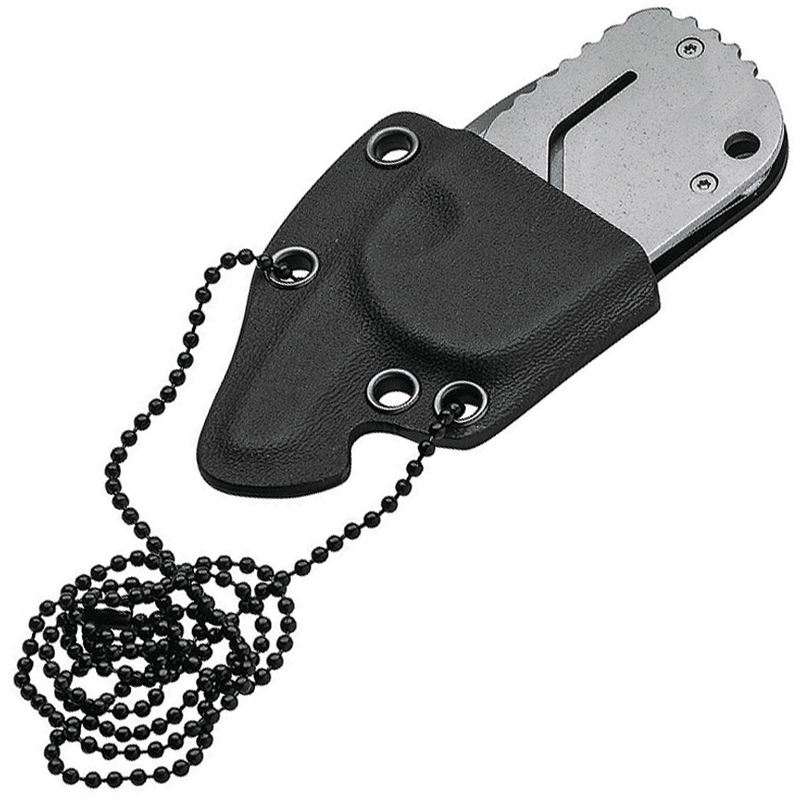 Instead, the knife comes with a compact Kydex sheath. It can be worn as a neck knife on a ball chain or just carried in a pocket. The AUS-8 drop point blade gives the Subcom Friction an elegant silhouette. The handle and blade have a robust stonewash finish.